What was your inspiration for naming your album BLOODSUCKERS and what was the inspiration for the music? Hyde: There isn’t a huge meaning to it. We started calling their fans Bloodsuckers from last year and the meaning kind of stuck. We wrote the song for the fans and we thought that BLOODSUCKERS would be the best title for the CD. Besides your name, there are a lot of vampires in lore. Are there any vampires that have a special meaning for you? VAMPS: Dracula. We have an image of a gentleman-like image, that ladies like. For example, he has to ask permission to enter a room. That is the type of image that we like. Hyde, you played a vampire in the movie MOONCHILD. Do you have an interest in playing such a role or acting again? Hyde: Hmmm… Right after the movie, I thought that I wouldn’t be able to do that for a long time. Now that much time has passed, I might think of doing it again, but I’m not sure. You have experience playing to foreign fans. What kind of experiences do you have with that? Hyde: I feel that foreigners are more kind of used to rock, especially in the U.S. and London, where rock was born. It’s not a special genre for them, they’ve listened to it from their childhood, so it comes more natural to them. It’s different than Japan. Are there any particular artists that you’re influenced by? Hyde: There are a lot of influence from artists in the 80s, a lot of British New Wave and American hard rock. Not any specific artist, but more, influenced by the era. 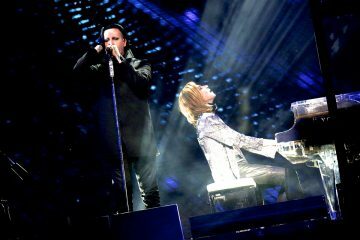 K.A.Z: [I received] a lot of inspiration from different types of artists, such as Iron Maiden, a band called Killing Joke[?] and, of course, U2. 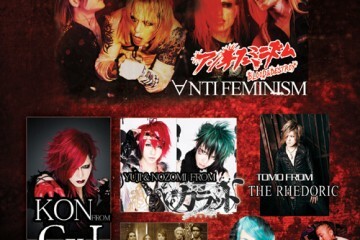 You have a Facebook Page, would that be the best place for foreign fans to connect with you? 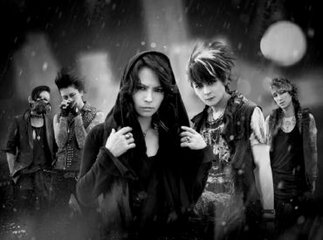 VAMPS: Our website, has both Japanese and English options available. Hyde: Why do you feel that it’s kind of unusual here in Japan? Because it’s been my experience that Halloween hasn’t been widely understood until the last ten years where it’s become popular. There are spring events or summer events, but not as many Halloween events; not in Japan anyway. Hyde: It’s just like a party; Japanese don’t really think of the religious aspect or the meaning that it has – it’s more… fun! It’s a party. It’s becoming a bigger and bigger event here in Japan. Why do you think Halloween is becoming more popular in Japan? Is it the costumes, or candy, or party? 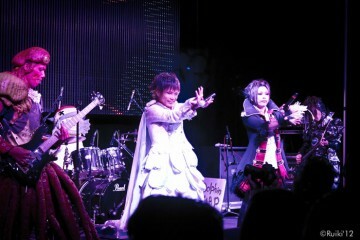 Hyde: Costumes. Japanese are [generally] very reserved, so they’re very shy. But they have a feeling of wanting to change. For example – if you go to Disneyland, you can get Mickey Mouse ears and kind of change yourself and be more open. [Halloween] gives them a chance to do that and fulfilling what they want to do. And rock artists really lean toward Halloween [laugh]. Is there any plans to release BLOODSUCKERS in other territories? Hyde: For our last album’s release, we weren’t really able to do a worldwide promotion, so for this one, we really want to. So first of all, Japan and then take it out to other countries. Do you plan to make more videos for your album? Hyde: Not for a while, maybe for the next sequel. 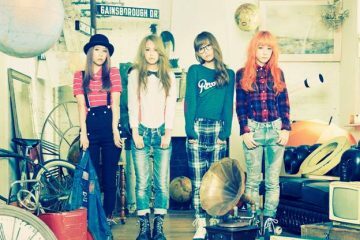 Many of your international fans are interested in any plans you have for overseas. Can you give us some information? Hyde: We were planning on doing a concert in the fall in the U.K., but that was canceled. We want to perform overseas sometime next year, though. So nothing solid right now? Hyde: No, not right now. 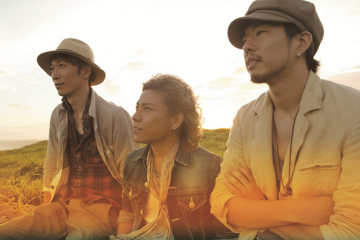 Can you give us a message for your international fans? 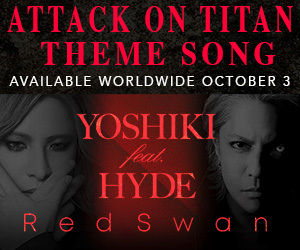 Hyde: We were able to make an album that we believe is a concert album that will be good live. We’re very happy with what we made and we’re really looking forward to performing overseas. We hope that there will be many faces will call them to their countries to perform. K.A.Z: It took us over four years to make this new album. We would love to perform in places where we have never been before. I can’t wait to perform them live! I’m looking forward to seeing everyone! 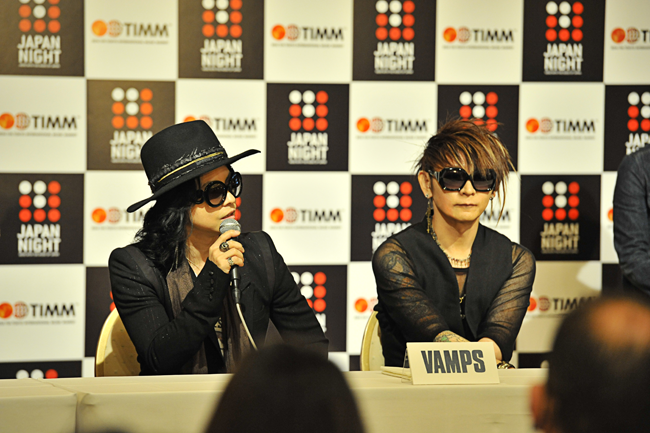 Special thanks to VAMPS for their time and insight!